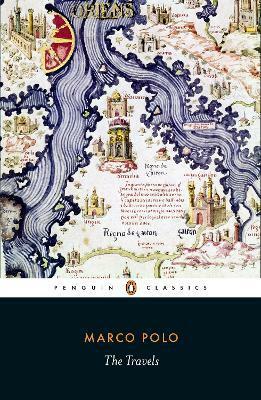 A sparkling new translation of one of the greatest travel books ever written: Marco Polo's seminal account of his journeys in the east. Marco Polo was the most famous traveller of his time. His voyages began in 1271 with a visit to China, after which he served the Kublai Khan on numerous diplomatic missions. On his return to the West he was made a prisoner of war and met Rustichello of Pisa, with whom he collaborated on this book. His account of his travels offers a fascinating glimpse of what he encountered abroad: unfamiliar religions, customs and societies; the spices and silks of the East; the precious gems, exotic vegetation and wild beasts of faraway lands. Evoking a remote and long-vanished world with colour and immediacy, Marco's book revolutionized western ideas about the then unknown East and is still one of the greatest travel accounts of all time. For this edition - the first completely new English translation of the Travels in over fifty years - Nigel Cliff has gone back to the original manuscript sources to produce a fresh, authoritative new version. The volume also contains invaluable editorial materials, including an introduction describing the world as it stood on the eve of Polo's departure, and examining the fantastical notions the West had developed of the East. Marco Polo was born in 1254, joining his father on a journey to China in 1271. He spent the next twenty years travelling in the service of Kublai Khan. There is evidence that Marco travelled extensively in the Mongol Empire and it is fairly certain he visited India. He wrote his famous Travels whilst a prisoner in Genoa. Nigel Cliff's first book, The Shakespeare Riots (2007), was shortlisted for the Washington-based National Award for Arts Writing. His second book, The Last Crusade: Vasco da Gama and the Birth of the Modern World appeared in 2011.